Bold, trailblazing and first-of-their-kind projects were recognized at this year's eHealthcare Strategy Leadership Awards. 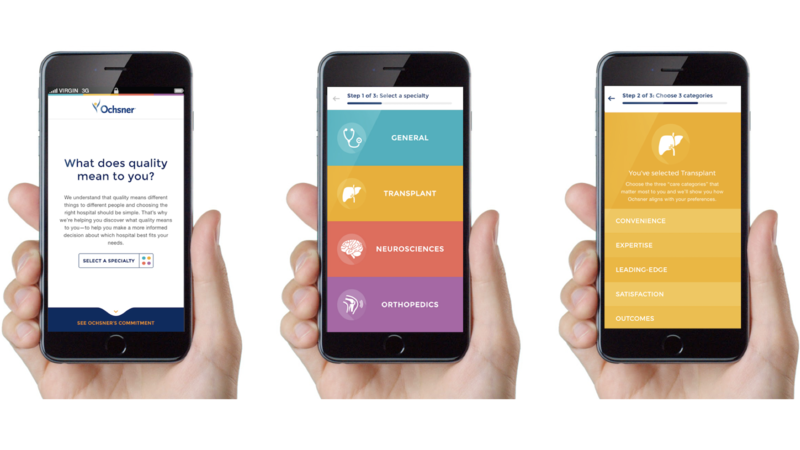 White Rhino is honored to have worked on three experiences that received platinum awards in their respective categories: Overlake Medical Center's Google-like search-based website, Regional Health System's material design-inspired card-based homepage and Ochsner Health System's patient-centric reimagined quality and safety digital assessment tool. Read more about these healthcare digital marketing firsts below. Most hospital websites are structured like their complex org charts but our research showed that patients don't understand the healthcare professional nomenclature of these inwardly-facing org charts. If they don't understand this language then how will they find what they're looking for? 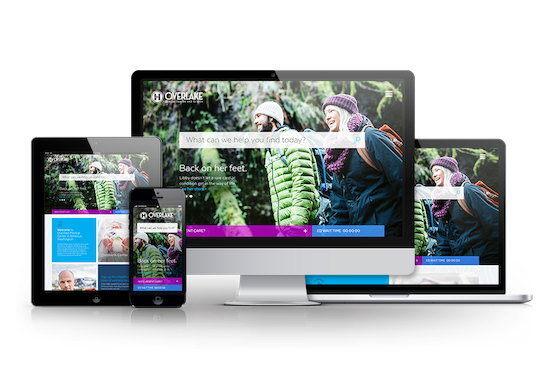 The new Overlake website delivers a more personalized experience, fully reimagining how users navigate a hospital website. Users simply type in plain English questions and get a dynamically generated, customized page tailored to their needs. Think Google meets Pinterest. As interoperability between the EHR, CRM, and website CMS improve, we’ll soon see hospital websites where every visitor receives a different experience. It will feel completely tailored to each visitor’s unique needs and preferences. 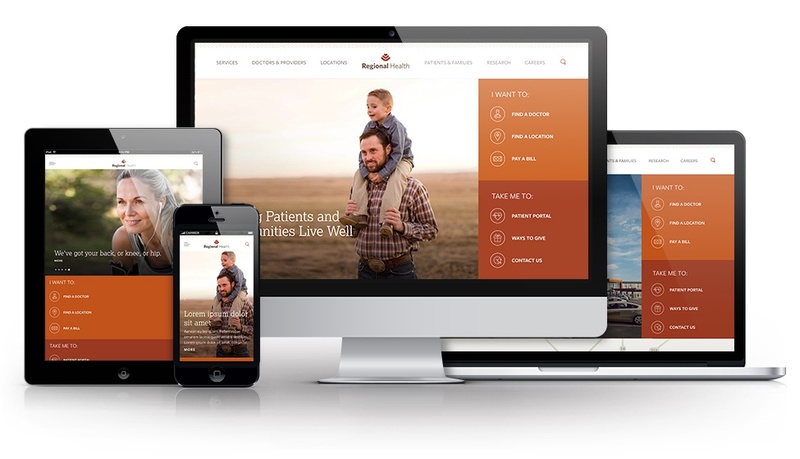 The redesigned Regional Health website represents the latest in this important move towards greater personalization of healthcare experiences. Inspired by Google’s Material Design standards, the site is a responsive, card-based design system supported by two key pillars: authentic storytelling and personalized content. The new experience not only brings greater levels of visitor engagement, it's also an effective inbound marketing tactic. As prospects move through the experience, a progressive lead generation form captures details for Ochsner's CRM. And once someone uses their email address to register for gated content, corresponding email nurture programs are triggered. What's your trail to blaze? Looking to deliver a breakthrough consumer experience like these healthcare innovators? Contact us to see what we can do together.